Satyajit Ray was a Bengali film maker and though Hindi cinema failed to really lure him into their path he did on two occasions venture forth and indulge the opportunity to direct adaptations based on short stories by writer Munshi Premchand. 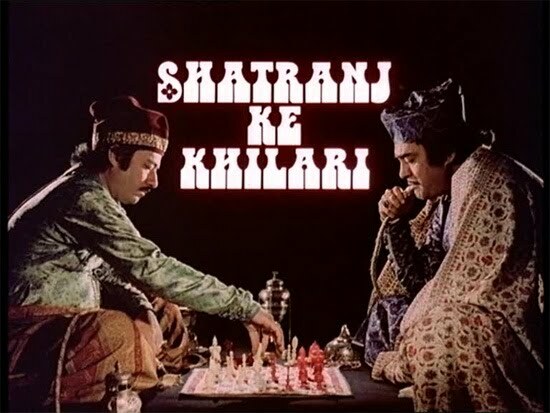 The first and most notable adaptation was of Premchand’s short story Shatranj Ke Khilari (The Chess Players) in 1977. The second Sadgati (The Deliverance) was shot specifically for television in 1981 and brought together the talents of Om Puri and Smita Patil. Ray had a real ear for dialogue and his classical upbringing naturally led him to adapt many of the literary giants of Bengali literature. The Chess Players is by far Ray’s most ambitious film and similarly like Ghare-Bhaire (Home and the World, 1984) it was one of the few occasions that Ray directly engaged ideologically with the colonial legacy of the British Empire. Whilst Ghare-Bhaire offers a complex analysis of Nationalism and how religious divisions in Bengal were exploited by the British to retain an unchallenged hegemony, The Chess Players focuses on the events that led to the Great Mutiny of 1857. What we also witness in the film is the transition of power from the East India Company to Imperial rule, an aspect which is symbolised in the cultural xenophobia espoused by the perplexed and agitated figure of General Outram (Sir Richard Attenborough). The year is 1856 and the story takes place in the decadence of Awadh, a state ruled by Wajid Ali Shah who is one of the last remaining Nawabs. In a nation in which the cultural and political influence of the Mughal Empire has ceased to exist, the British have a vision for imperialist expansion which means the end to any kind of alliance with the Nawabs who had initially helped them to rule with certain impunity. Set against this tumultuous political backdrop is the peripheral story of our eponymous chess players; the house proud Mirza Sajjad Ali (Sanjeev Kumar) and the cuckold Mir Roshan Ali (Saeed Jaffrey) who feel they are safe and secure in their harmless games of chess. The capital of Lucknow has always provided a fascinating landscape for film makers with an interest in reconstructing the Mughal period and Ray’s recreation of Lucknow is blissfully romantic, recalling a time in which the cultural attractions of Lucknow were on the verge of collapse. At times, eerily so, Lucknow comes across as a city haunted by ghosts and the spectral figures of Mirza Ali and Mir Ali drift through their banal lives indifferent and unconcerned to political and social change taking place around them. Of course, it is a change and transition which they want no part of as it signals their demise yet such is the impact of the British in Lucknow, by the time Wajid Ali Shah has abdicated, Mirza and Mir play on helplessly with tears in their eyes. Ray somehow persuaded Richard Attenborough to play the part of General Outram and he delivers what is surely one of his finest performances as a man who is faced with the difficult decision of coercing the effeminate Nawab to surrender his throne, all without causing grave offence to his majesty’s reputation. Much of the humanist warmth comes from the hilarious interplay between the warring and comical figures of Mirza Ali and Mir Ali. Constantly engaged in a battle over the latest game of chess, they are prepared to go any lengths to keep the game going even if this means alienating the affections of their wives which they do with great veracity. In terms of political symbolism, the chess board and its polished pieces of ivory which are intelligently staged and moved around with an attempt to outsmart the opponent is an apt metonym for wider power relations. Shabana Azmi pops up in a minor role as Mirza Ali’s much maligned wife and though she is somewhat wasted in the film the decision to cast her was motivated largely by Ray’s assertion that she was a brilliant actress – an observation that no one can really argue with. The remarkable ideological restraint Ray shows in many of his films means that politics never transform into polemic which seems to explain how Ray within a post colonial context never sets out to simply demonise the British as the evil oppressor nor reduce the Muslims of Lucknow to redundant stereotypes. Every Ray film I watch, the stronger the case mounts for his unparalleled position in the sphere of global cinema – his oeuvre has not been surpassed and his skills as a film maker remain unrivalled. I've just come across a reading of this film which might interest you if you don't already know it. 'The Representation of Colonialism in Satyajit Ray's 'The Chess Players' by Darius Cooper appears in 'Colonialism and Nationalism' in Asian Cinema (ed) Wimal Dissanaayake, Indiana University Press, 1994. The book is easily available at a reasonable price on Amazon UK. 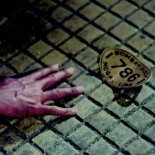 I'm afraid that I foolishly avoided this film on release, but I can't remember why! Having read the article and seen your posting I know that I should watch. If I can get this comment to work, I'll try and reply to some of your earlier pieces and I hope to blog soon on postcolonialism. Roy, Thanks for the tip, will look into it – sounds like an interesting book. Well, you won't be disappointed by the DVD released by Artifical Eye as it is one of the best looking transfers of any Ray film avaliable on the DVD format. I wonder how beautiful it would look in Blu ray HD? The DVD also includes nearly two hours worth of extras – mostly interviews but very insightful commentary from Attenborough on his experience working with Ray, – 'He was a giant of a man!' As for postcolonialism, I am trying to get my head round the concept slowly – I have seen Chocolat which seems relevant and did access your post for this, which was excellent. Have you seen 'White Material' yet? This entry was posted on July 20, 2010 by Omar Ahmed in Auteur, Bengali Cinema, Indian CInema, Parallel Cinema, Political Cinema, Satyajit Ray.